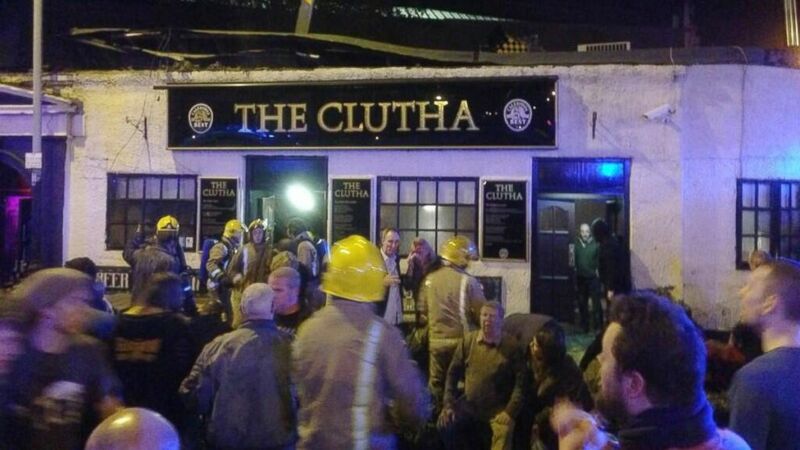 A police helicopter crashed into a busy pub in Glasgow city centre killing at least eight people. Three people inside the helicopter and five people inside The Clutha pub were killed after the Police Scotland aircraft came down at 22:30 on Friday. Other 14 people are being treated for “very serious injuries” in hospitals across the city. A major investigation is under way and the Air Accidents Investigations Branch will conduct an inquiry into the crash. Dr. Jennifer Armstrong, medical director at NHS Greater Glasgow and Clyde, said that of the 32 people taken to local hospitals after the crash, 18 had now been treated and discharged. She confirmed that 14 people were still being treated for serious injuries. “The main injuries we have seen include chest injuries, head injuries, long-bone fractures and lacerations,” she said. It is thought that about 120 people were in the pub at the time of the crash. Many were rescued or escaped but others were trapped by a collapse on the left-hand side of the building. The three occupants of the helicopter who died were two police officers and a civilian pilot. A significant number of personnel from Police Scotland, The Scottish Fire and Rescue Service and Scottish Ambulance Service are still at the scene. Police Scotland Chief Constable Sir Stephen House told a news conference on Saturday afternoon that they would remain there for some time. Chief Constable House said the operation would go on “for many days yet”. He paid tribute to the emergency service personnel who were working at the scene and the people of Glasgow who disregarded their own personal safety to help survivors in the aftermath of the crash. Deputy First Minister Nicola Sturgeon told the same news conference that the increased death toll from the crash was “news that everybody today has been both dreading and expecting”. UK’s PM David Cameron paid tribute to the bravery of the “ordinary Glaswegians” who rushed to help. Queen Elizabeth II has said her thoughts and prayers are with the victims of crash. The Police Scotland helicopter which crashed was a twin-engine Eurocopter EC135 T2. In a statement, Eurocopter said its experts were “on standby to support the investigation in every way possible”. “An accident investigation team from Eurocopter is on its way to Scotland to assist the UK Air Accident Investigation Branch and the BFU (German AAIB) in its efforts to investigate the cause of the accident,” the statement said.